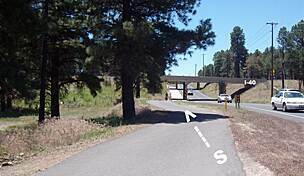 Trail end points: Butler Ave. and Herold Ranch Rd. 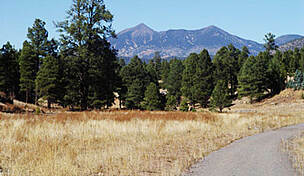 The Foxglenn Trail runs between Herold Ranch Road and Foxglenn Park on Butler Avenue. 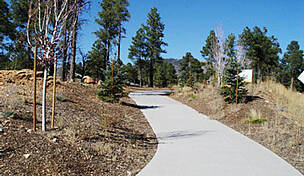 At the park end of the trail, the surface is concrete, and you connect to additional side trails here. 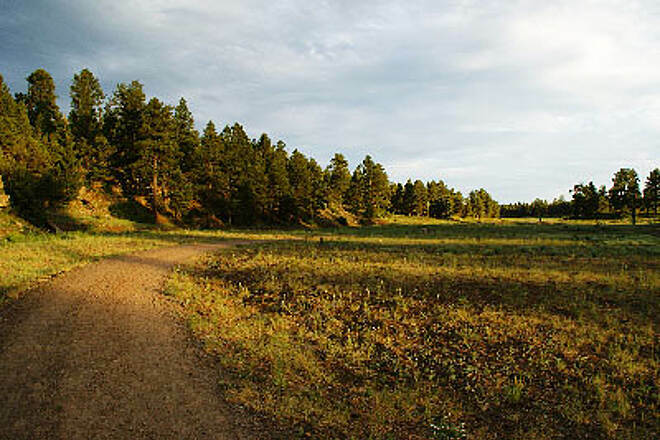 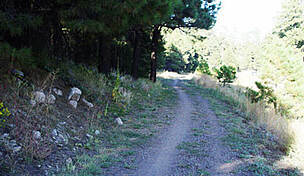 The main Foxglenn Trail has an aggregate surface outside of the park and all the way Herold Ranch Road. 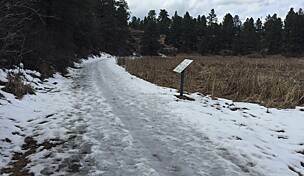 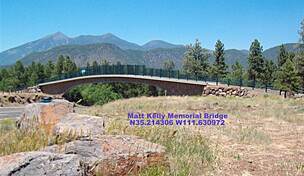 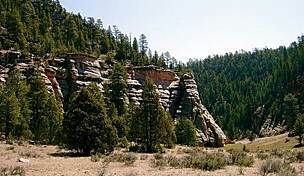 The trail follows the flat canyon bottom of the Rio de Flag until west of Fourth Street, where it traverses an undulating path in the forest. 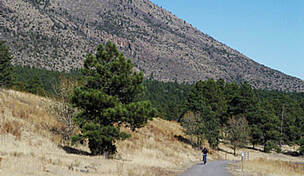 The western segment is steep in places. 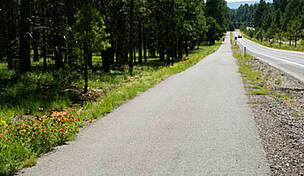 Foxglenn Trail intersects Switzer Wash Trail east of 4th Street and south of Butler Avenue. 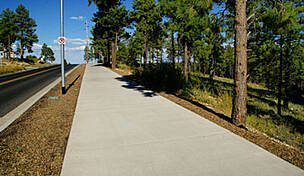 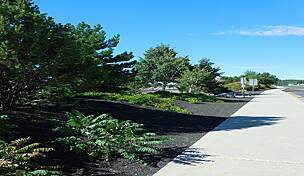 You can park at the ball fields at the east end of the Foxglenn Trail where Foxglenn Street meets E. Butler Avenue. 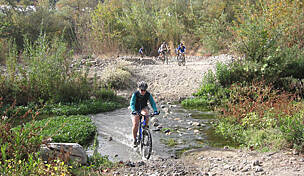 You can access the trail from Switzer Wash Trail.